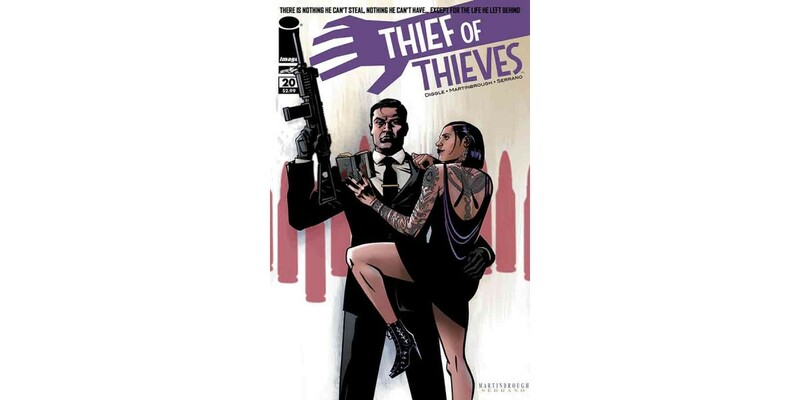 From Robert Kirkman, the creator of THE WALKING DEAD, new ongoing writer Andy Diggle (SNAPSHOT, Green Arrow: Year One, The Losers), and dedicated artist Shawn Martinbrough comes THIEF OF THIEVES #20. Conrad Paulson is after a big score once again, but this time he may not be so lucky. Is anyone in his life really safe with number of individuals bent on causing him harm? Find out when THIEF OF THIEVES #20 arrives in stores on 4/23. It will be available for $2.99 and can be pre-ordered using Diamond Code: FEB140639.